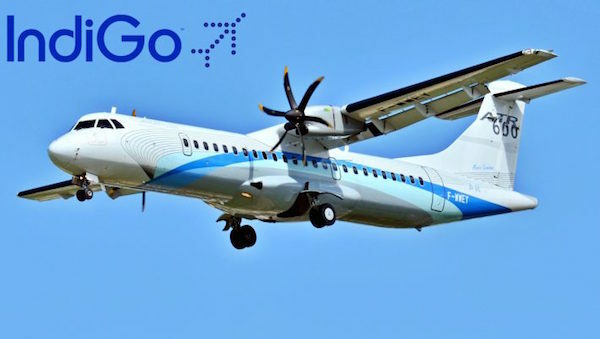 India’s largest airline IndiGo has placed a tentative order for 50 ATR 72-600 turboprop planes valued $1.3 billion at list prices as the carrier is on a mission to connect second-tier airports, according to a company statement. The first planes will see delivery by the end of 2017. IndiGo has been reluctant to participate in the Indian government’s regional connectivity program. The scheme, which would be in operation for a period of 10 years, envisages providing connectivity to un-served and under-served regions of the country through the revival of existing airstrips and airports. This would be achieved through a financial stimulus in the form of Central and State government concessions, as well as Viability Gap Funding to the interested airlines to kick-off operations from such airports, so that the passenger fares are kept affordable. India’s rapidly expanding domestic market represented close to 100 million passengers in 2016, and has been steadily growing by more than 20% annually. It is expected to become the world’s third largest market by 2020. Under the Regional Connectivity Scheme, 100 new airports will be created within the next two to three years, and airlines will receive financial support and other incentives to make air travel affordable. If finalized, the order will become the largest deal for Avions de Transport Regional (ATR), co-owned by Leonard and Airbus, in ten years. In 2016, the orders nosedived more than 50%, to 36 from 76 planes in 2015.